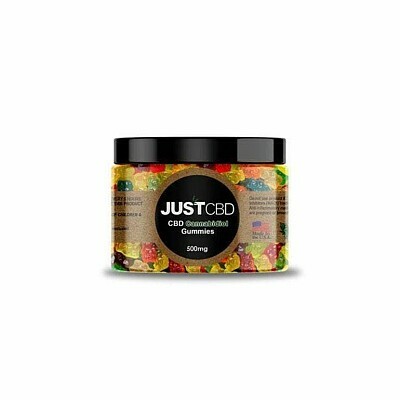 JustCBD 500mg Jar of cbd gummies. Our medium size jar is perfect place to start if you never tried cbd gummies. Each gummy is packed with 10mg of cbd hemp isolate 99.99% grown and manufactured in the USA. Our gummies have exceptional flavor which will leave wanting more of these cbd packed gummies. CANNA-PURE "Dark Chocolate Covered Espresso Beans"